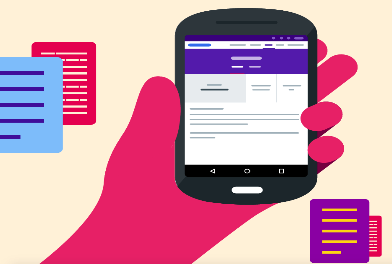 We just learned through TNW that Google launched a new app called Science Journal. The app turns your phone into ‘a pocket science laboratory with tools to measure light, motion, sound and more.’. Science Journal makes use of the onboard sensors of your phone to help you collect, analyze and conduct experiments on the world around you. It also supports compatible external sensors to help users build things and enjoy the wonders of science. To help you make the best of your science experiments, Science Journal empowers you with a set of built-in features that turn it into a lab notebook. You can use these features to record your data, visualize your data into charts and diagrams, take notes including voice notes, organize your data into projects, collect data in multiple trials, annotate and explore your results and many more. Science Journal has also partnered with Exploratorium to provide users with third party tools and materials to utilize in different science experiments. There is also an activity section ( ideal for science teachers) featuring a variety of activities for learners (ages 10 and up) to help them tap into the educational potential of Science Journal. Each activity comes with a set of instructions and guidelines to print out and use with your students in class. As of right now, Science Journal is available for Android users only.